An Introduction to Instagram workshop with Beth Bowman Saturday 23 February, 10.30am - 1.00pm **sold out** or Saturday 23 February, 2pm – 4.30pm **PLACES STILL AVAILABLE** At Towner, Eastbourne. Blue Monkey Network members £10, non-members £15. Booking essential. An Introduction to Instagram with Beth Bowman, Saturday 23 February, 10.30am-1.00pm **sold out** or Saturday 23 February, 2pm – 4.30pm – **PLACES STILL AVAILABLE**. Booking essential. Blue Monkey Network members £10, non-members £15. Places are limited. 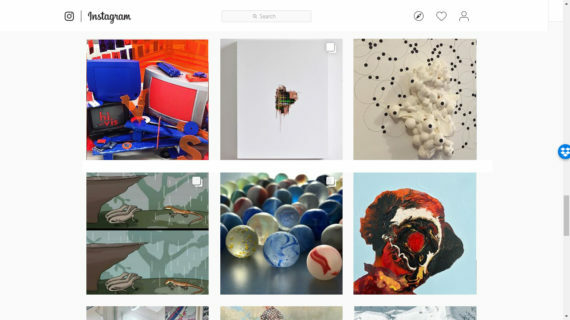 Lots of artists use Instagram to promote their practice but how many use it effectively? In this short workshop Beth Bowman will take us through an introduction to Instagram as a platform, what makes it different and how can you combine it with your other social accounts to best benefit you and your practice. She will talk about how to use the tools it offers to their best potential, how to establish your style and how you can grow your following as well as talking us through some of the dos and don’ts of using Instagram. There will be a short practical element to the workshop experimenting with ways of creating a flatlay photograph for posting online and participants will be asked to bring a few objects that they would like to photograph to reflect their practice. Beth Bowman is a first class Fashion Communication & Promotion Graduate with a range of experience as a junior designer and creative, providing contemporary, visually exciting solutions for multi-channel media, including web content, social media campaigns and print. She has previously worked with a range of small businesses, managing their social platforms to help support and grow their brands. Beth is currently working as a marketing assistant, working on social media for a boutique hotel brand. by BACS transfer to our account: Blue Monkey Network, Sort Code: 30-92-86, Account number: 37901460 (please include your surname as a reference and e-mail [email protected] to confirm your payment).